A 2-in-1 cooler and perspiration absorber. At the top is a built-in, water activated MiraCool pad for cooling. The sides are soft, 100% cotton terry that cradles head while wicking away annoying perpiration. 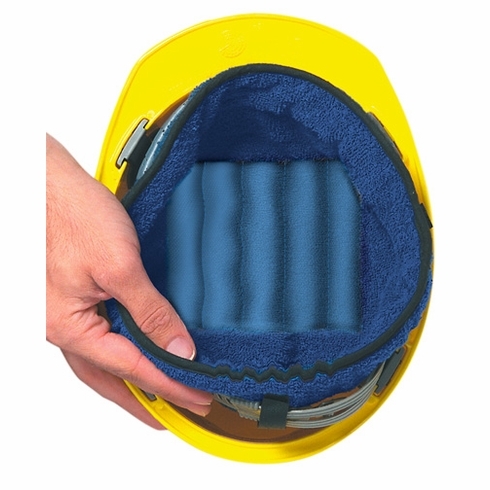 Liner attaches easily to hard hat suspension with hook and loop straps. One size. Navy.